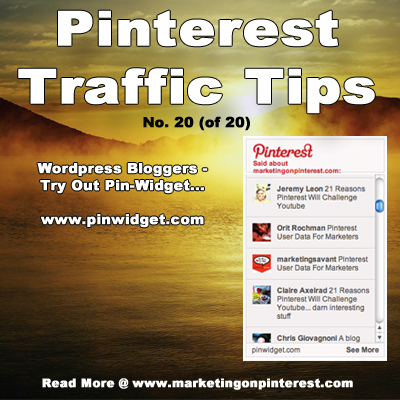 WordPress blog owners might want to try Pinwidget, a new widget that streams your Pinterest comments. It seems to work nicely. Give it a spin at www.pinwidget.com.